A pedestrian’s life was taken after being hit by a vehicle that also wound up crashing into two parked cars. The tragic accident occurred on 22nd Avenue North between Formosa and Underwood streets. Police suspect the vehicle was traveling south on 22nd Avenue North when it hit a parked car and ultimately the pedestrian. The vehicle then slammed head-on into another vehicle, according to The Tennessean. The pedestrian died at the scene. He was attempting to get into the driver’s side door of his minivan. He was only 58 years old, according to wsmv.com. According to police, the driver who caused this terrible accident smelled of alcohol, was unsteady on his feet and slurred his words. The driver also reportedly refused to take a field sobriety test or breathalyzer test. Police were able to successfully get a blood sample later and they believe the driver was intoxicated. Between 2003 and 2012, close to 3,500 people died in drunk driving accidents. This means the average number of drunk driving deaths for every 100,000 people in Tennessee is higher relative to the other 49 states. Drunk driving is responsible for close to 30 percent of all automobile accident deaths. This data is truly shocking and infuriating. Thousands of people have lost their lives in accidents that are preventable, if only for the poor choices of another driver. The amount you can expect to recover through a settlement or jury verdict largely depends on the amount of insurance coverage that you and the at-fault driver have under your respective policies. If the at-fault driver has a bare minimum auto insurance policy, your lawyer can determine whether it is possible to file an underinsured motorist claim through your own policy. 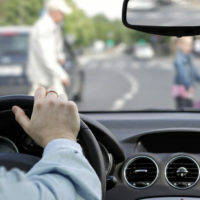 You do not get an infinite amount of time to take legal action against the at-fault driver. You need to file a lawsuit within one year of the date of your loved one’s death. Yes, just one year. This is due to the Tennessee statute of limitations governing civil claims, which includes a wrongful death claim. Losing a loved one is a traumatic, gut-wrenching experience that far too many people have to endure each and every year. If you lost a loved one in a preventable accident, you should hold the at-fault party accountable for their negligence. Calhoun Law, PLC is here to help. Our team of Nashville wrongful death lawyers understand the complexities of the wrongful death statute and have real trial experience. Contact our office today.